Need to be dressed to perfection while overloading on food? It’s that time of the year again, Happy Thanksgiving! 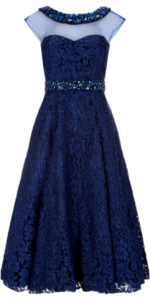 Here at Girl Meets Dress, we have the perfect dresses to hire for Thanksgiving dinner. Whether you need to hire a black tie dress or hire a dinner dress which is more casual, we have everything you need! This blog will feature our recommendations for the perfect thanks giving dresses. Want to strike in glamour in your Thanksgiving dress? This dress is beautifully finished with detailed beading and a waistband. The perfect dress for Thanksgiving. Cocktail glamour at its best by Halston Heritage. This is a fantastic dress for Thanksgiving! A gorgeous dress in a stunning colour for you to wear to your Thanksgiving dinner for either a Black Tie dress code or something more casual. Want to fit in with the theme of Thanksgiving? This is the perfect Thanksgiving dress to do so, this blue and red midi dress, will put you in full spirit! This draped dress is perfect any occasion you may have over Thanksgiving. This Acne Studios’ quirky print dress will make the perfect Thankgiving dress. The ‘Bley’ dress is luxe silk and boasts a shirt-style design that’s inherently sophisticated. It will make the most gorgeous Thanksgiving dress. Want something more black tie? Then hire this gorgeous gown, perfect for your Thanksgiving dinner. This tantilising thigh split, one shoulder maxi dress. With swarovski crystal embellishment and beautifully elegant draping detail deliver luxurious style. Perfect for your occasion, so why don’t you hire this dress for Thanks Giving! This Diane von Furstenberg dress, made from silk fabric and adorned with diverse stripes, is an easy option for a party dress to hire for your next Thanksgiving event. We do next day delivery or same day delivery if you live in London, for all orders placed before 1pm, so its not too late to hire a dress of your dreams! Posted November 13th, 2017 in Uncategorized. Tagged: ACNE dresses, ball dress hire, Black tie dress hire, black tie dress london, black tie dresses from the UK, cocktail dress cocktail dress hire, Diane Von Furstenberg dresses, dinner dresses, Dress Hire, dresses for thanksgiving, Dynasty dresses, Gorgeous Couture Dresses, Halston Heritage, Halston Heritage dress rent, hire ACNE, hire carven, hire carven dresses, hire DIANE VON FURSTENBERG, HIre Dynasty Dress, Hire Dynasty Dresses, hire gorgeous couture dress, Hire Gorgeous Couture Dresses, Hire Halston Heritage dresses, Rent Halston Heritage, Thanksgiving, Thanksgiving dresses, What to wear to Thanksgiving dinner.